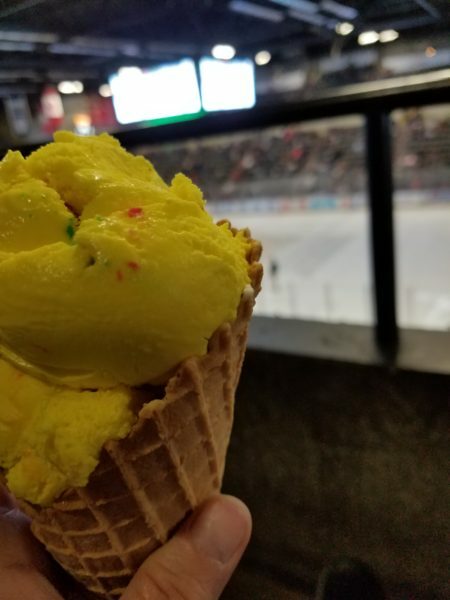 A couple of photos from the Wheeling Nailers game we went to yesterday. My ice cream. It was called Playdough. I don’t know why this picture is sideways – I can’t seem to fix it. Looks like fun. Did your team win?